I visited a friend on Long Island a few summers back and can still recall the bustling Friday night scene sitting at the bar of a popular neighborhood restaurant tucked just outside the village. We ordered some wine, chatted with our neighbors and then the hanger steak arrived. What made it so memorable? Perhaps the fact that the dish was comprised of locally-grown ingredients. Perhaps the fact the steak was grilled perfectly with that delicious blackened crust. Perhaps the fact that the steak was fanned out beautifully on the plate and topped with the most flavorful and freshest sauce verte I’ve ever tasted. 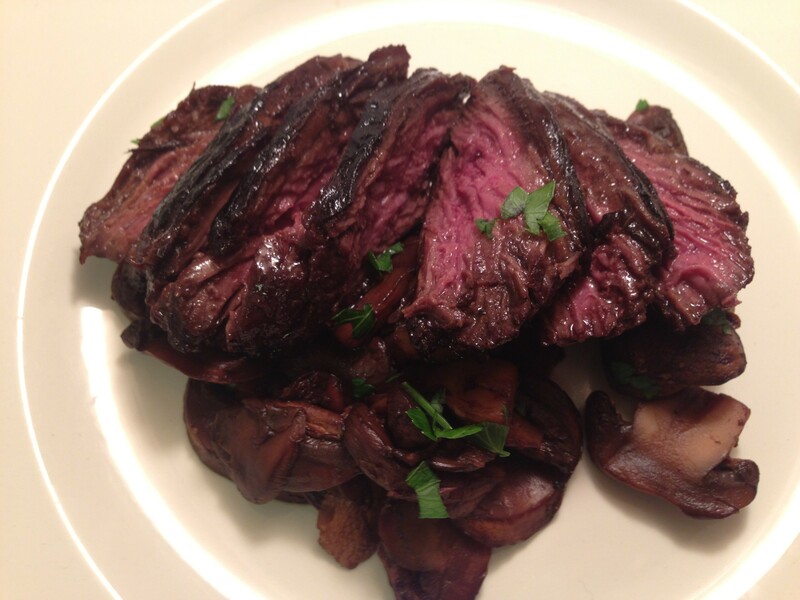 Luckily, hanger steak is one of the cheaper cuts of beef so it’s Fieldhouse Kitchen approved. 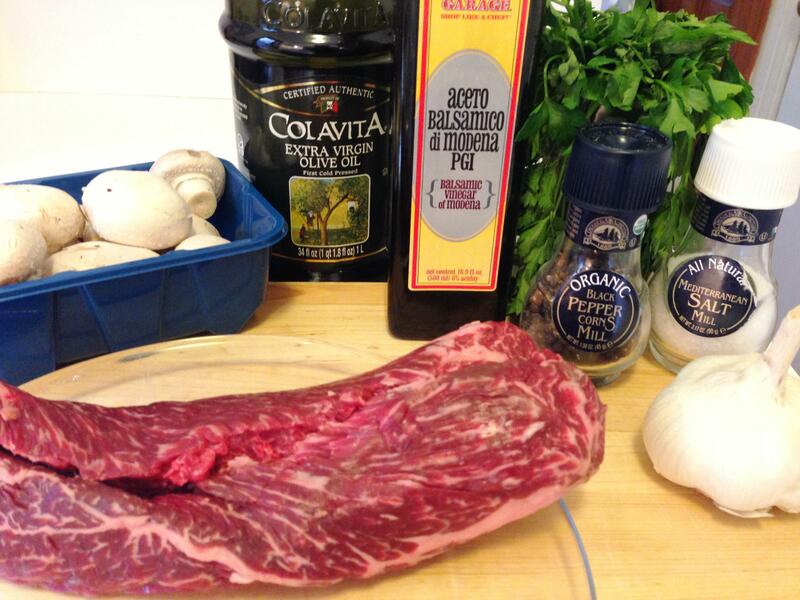 Here’s what you’ll need for my Balsamic Steak & Mushrooms with my Fieldhouse Kitchen take on The Sauce Verte. (Note, I genuinely prefer steak sans marinade or sauce, and like it simply seasoned instead with salt and pepper, but if I dress up my steak, this is exactly how I like it). 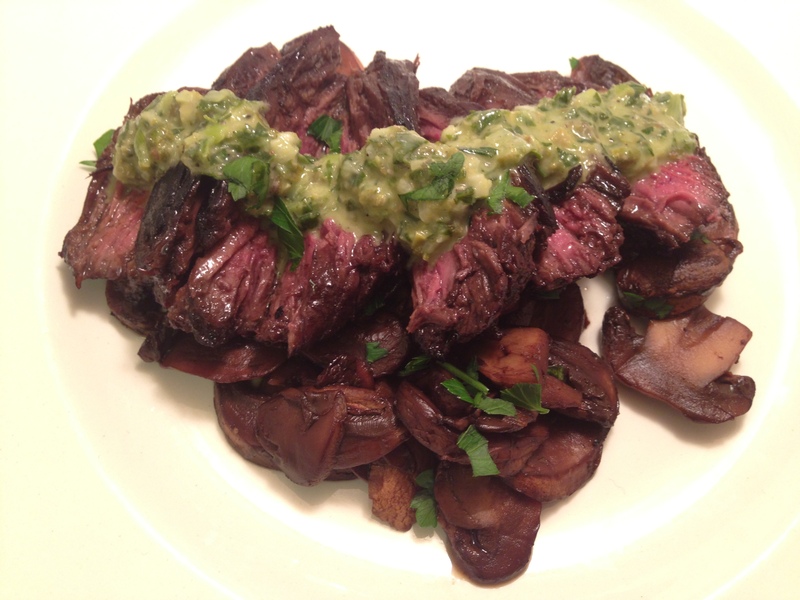 The steak and mushrooms fare well on their own, but if you’re looking to step it up, here’s what you’ll need for The Sauce Verte. 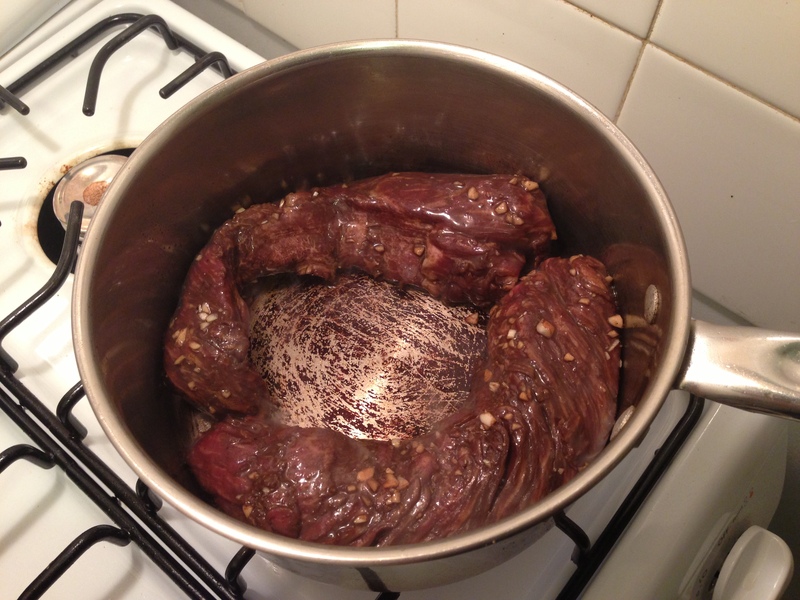 Begin by preparing the marinade for the steak. 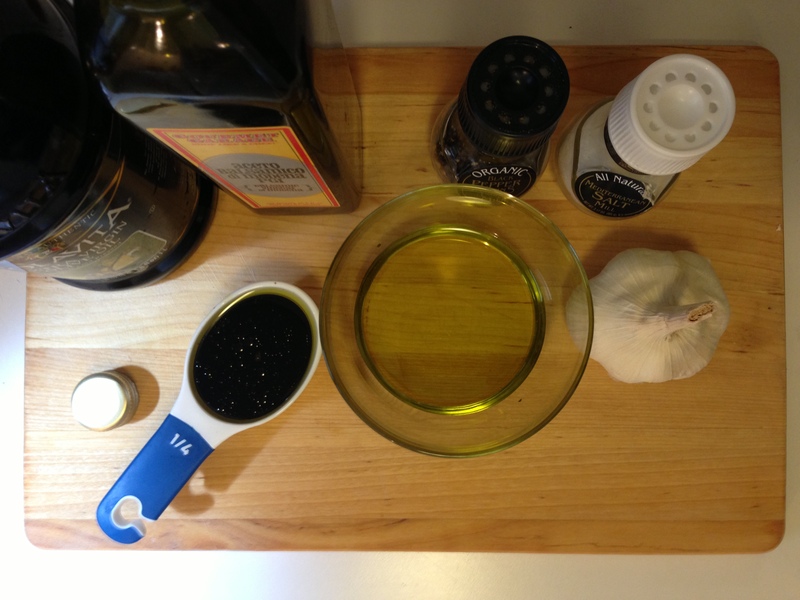 Whisk together the balsamic vinegar and olive oil in a small bowl. Add the minced garlic and season with salt and pepper. 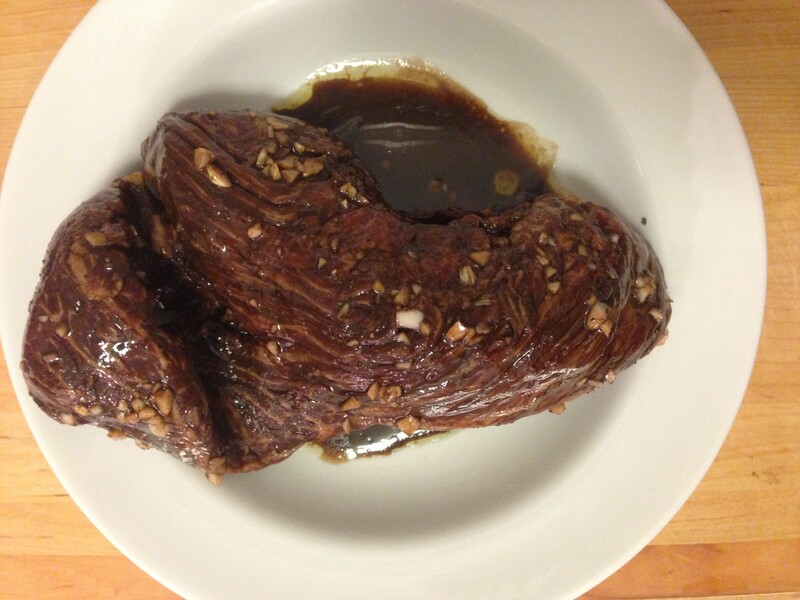 Place the steak in a plastic bag and pour the marinade over it. I typically will marinate this for 20 minutes to a few hours. Tougher cuts of beef require a bit longer for the marinade to take effect, but you can make your own rules as you go. It is your kitchen, after all. 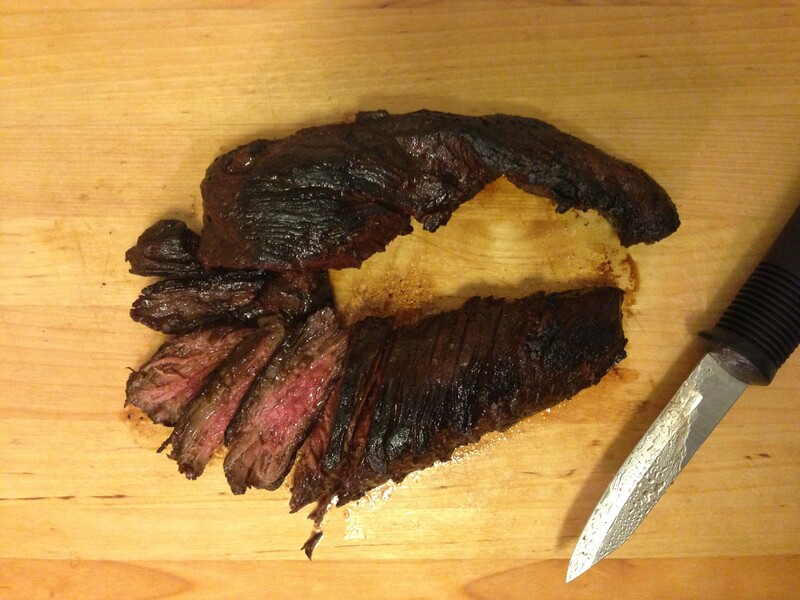 Once the steak has been marinated, remove it from the bag and preheat your pan (a cast iron one would be ideal). Now there are some secrets to a great sear: don’t crowd the pan, make sure the meat is really dry (I blot marinated steaks like these with a paper towel), preheat the pan so it’s piping hot when the meat comes into contact with it. I use this saucepan so that I can control the heat by adding a lid, and the tall sides reduce splattering. It’s not ideal, but it gets the job done (remember, minimal space, supplies, and money). I also don’t have a large frying pan, surprise, surprise. You should hear a sizzle when your meat hits the hot surface. I don’t add any oil to the pan as there is already oil in my marinade. Let the steaks sear about 3-5 minutes a side. Remove them from the heat and let them rest under foil for at least 10-15 minutes. 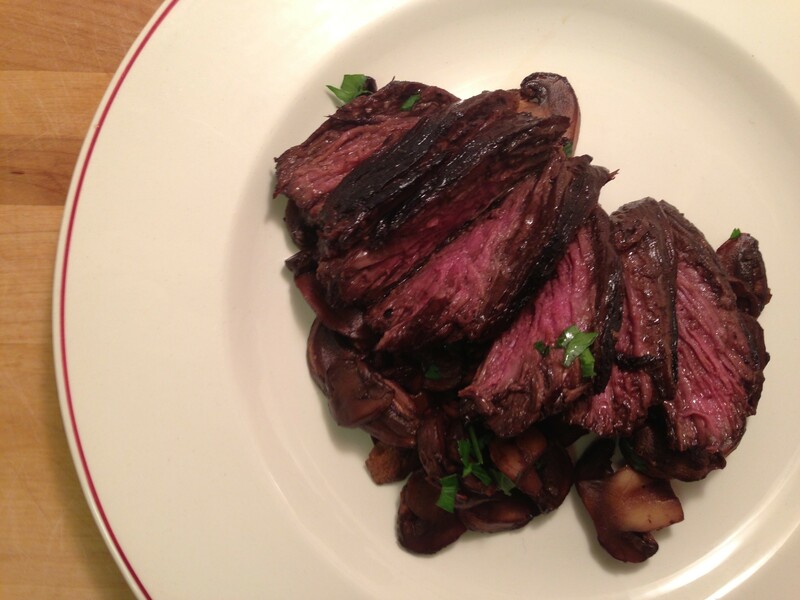 While the steak is resting, place your sliced mushrooms into a saucepan and add about 1/4 cup balsamic vinegar. Turn the heat on to medium and stir the mushrooms. 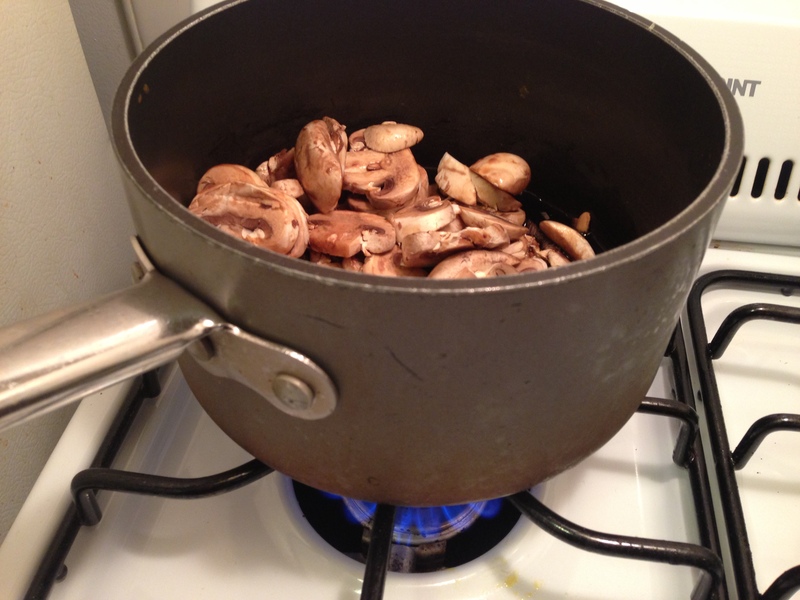 I know it doesn’t seem like a lot of liquid in the pan, but the mushrooms will release their liquids as they cook. 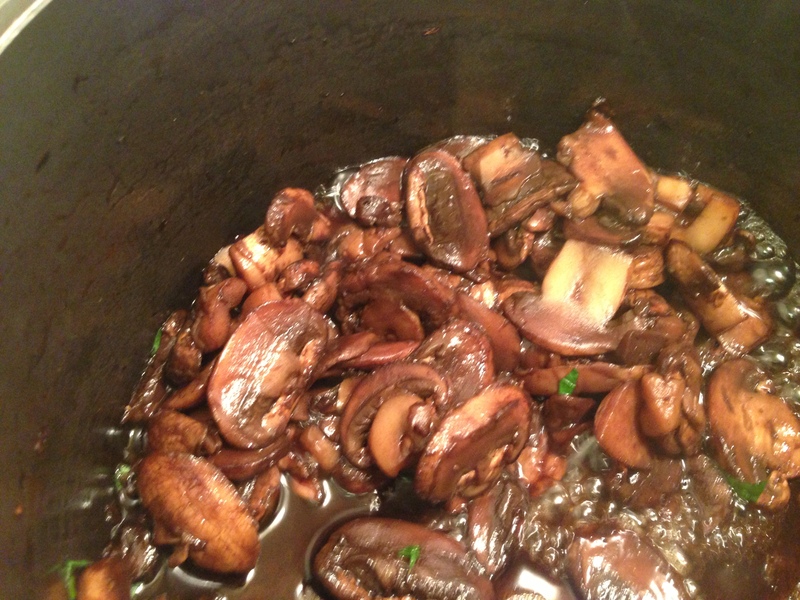 Keep an eye on these mushrooms and stir them as they cook for about 7-10 minutes. Once they get tender, season them with salt and pepper and add the freshly chopped parsley at the end. Fieldhouse Fun Fact: If I had to recommend a store-bought marinade that never disappoints on steak, it’s Soy Vay Veri Veri Teriyaki. It brings me right back to summer nights up in Maine.